Everyone needs somewhere to rest their head. Whether that’s an apartment, a condo, a cabin out in the woods, or a house in a nice neighborhood, everyone needs to live somewhere. But paying for that place isn’t always easy. Generally, the choice is between renting and buying. 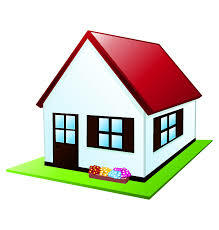 But in some cases, you may be able to purchase a home through a rent to own program. This offers you more autonomy than renting, but without all of the steep requirements of buying. But a rent to own home may not always be the right choice. 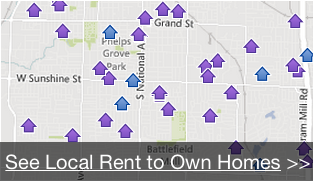 Want to know if you’re in a good position to rent to own? Here are the questions you need to ask. Do You Plan On Staying In the Area? The average American moves 11.4 times throughout their lives. This happens for a variety of reasons-some predictable, some not. 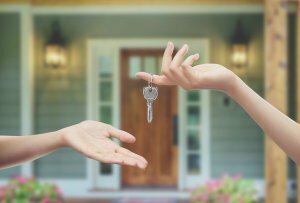 Before you think about getting a rent to own home, you have to think about whether you might move in the next few years. Maybe you’re looking for jobs in other parts of the country. Maybe you just can’t handle the winters. In a traditional rental property, you’d be able to cut and run. You’d put in your notice, give your keys, and head off. But if you decide to move while in a rent to own program, you may still be on the hook for that property. You might need to manage a sublease for a new tenant while you live in another area. Depending on your landlord, you might be able to get out of your agreement. But, you’d lose a lot of money. In some rent to owns, your monthly payments build equity in the home. Once your equity matches the home’s value, you take ownership. If you leave before that, you forfeit all of that equity. And since payments on a rent to own are typically more than a standard rental, you could have been paying more for nothing. If you might move in the next few years, stay in a standard rental. But, if you love your local area and plan on staying, a rent to own would be a good idea. When you apply for a mortgage, they will run a credit score. Depending on your credit, you might be offered a great interest rate, a high interest rate, or be denied a loan altogether. When a bank gives a mortgage, they take on a significant amount of risk. Every time a bank loans out tens of thousands– or hundreds of thousands– of dollars, there’s a chance that they won’t get that money back. When banks see a low credit score, they see one thing: high risk. And that’s a surefire way to keep you from a mortgage. But in a rent to own, the risk is much lower. There are no great sums of cash moving between parties. Instead, you just pay the amount in installments while the landlord retains ownership of the home. Because there’s less risk, landlords aren’t as skittish around low credit scores. If you’re trying to buy a house but your credit score is keeping you back, a rent to own program might help you buy a house-even with bad credit. Buying a house can be a long, and drawn out process. In fact, it can take as much as two months to close on a house after the seller agrees to take your offer. And that doesn’t include the time you spent looking for a home or the time it takes to get your financing approved. With a rent to own, it’s much quicker. After you sign the lease agreement and pay your deposit, you’re ready to move in. That’s it! Can You Afford a Large Down Payment? When you buy a house, you’ll need a down payment. Most mortgages require at least 3% of the total purchase price in order for you to move forward with the loan. 3% might not seem a lot, but it adds up. The median home value in America is $220,000. That’s a down payment of $6,600. Considering that most Americans don’t have $1,000 in savings, a 3% down payment is too much for most people to afford. However, when you rent to own, you don’t need to make a down payment. A landlord will ask for a deposit, but that’s generally much less than a down payment for the same house. Some landlords will even waive a deposit for a higher monthly payment. If you can’t afford a down payment, a rent to own is a great choice. A rent to own home is a great option for many people who don’t need to rent, but they can’t afford to buy a home with a mortgage. However, it’s not right for everyone. If you have good credit, you aren’t in a rush to move, and you have enough saved up to afford a down payment, you should go with a mortgage. A rent to own makes buying a home more accessible, but there are some drawbacks. Because the contract is shorter than a mortgage term, your monthly payments will be higher. And since you don’t take possession until after you pay off the full amount, you may have restrictions on what you can do until then. If you’re looking for a rent to own home in the state of Utah, we’d love to help. Look through our list of rent to own programs and give us a call. We’d love to get you into the rent to own property that’s right for you!